Wu recorded three B-cut times at the Auburn Invitational. 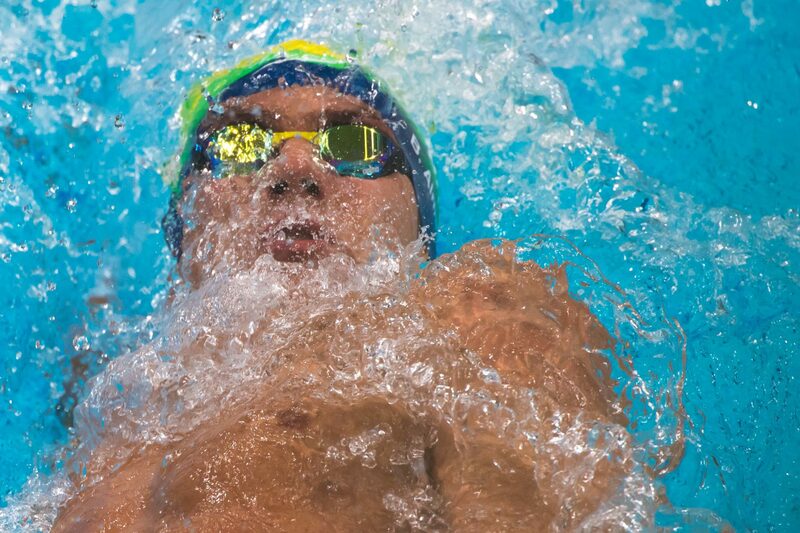 He won both the 100 breaststroke (53.67) and 200 breaststroke (1:58.07) with season-best times. Wu posted a career-best time in the 200 IM (1:48.67), good for third place. In Georgia’s win over Emory, Forlini won both springboards. He went 354.53 on 1-meter and 373.50 on 3-meter. Both efforts were season bests and improved his NCAA Zone qualifying standards. Forlini helped the Bulldogs finish 7-1-1 overall this season, and Forlini and his fellow seniors ended their careers 30-5-1. Almeida placed first in every event he competed in at the Virginia Tech ‘Technotational’. 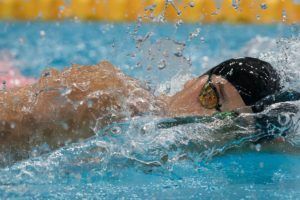 During the three-day meet, he made the NCAA B-Cuts in the 1650 freestyle and 400 IM, recording the Gamecocks’ second-best time this season in the 1650 freestyle and third-best time in the 400 IM. Junior • Crown Point, Ind. Tetzloff won two events with B-cut times at the Auburn Invitational. She swam a career-best 22.08 in the 50 free. Tetzloff also swam a career-best 51.79 in the 100 fly. In Georgia’s win over Emory, Austin won both springboards. She took the 1-meter with 296.93 points and the 3-meter with 356.18 points. Both totals are career bests for Austin and improved her NCAA Zone qualifying standards. Austin helped the Lady Bulldogs improve to 9-0, marking the program’s 15th undefeated regular season. In Georgia’s win over Emory, Wallis won an individual race and was on two victorious relays. She won the 100 backstroke in 54.27. Wallis anchored the 200 medley relay that won in 1:43.38 and led off the 400 freestyle relay that won in 3:24.64. Her 100 freestyle leadoff split of 50.37 was a season high.